JE Dunn's Oklahoma team had about 20 volunteers assist the Regional Food Bank of Oklahoma in sorting and packing food. 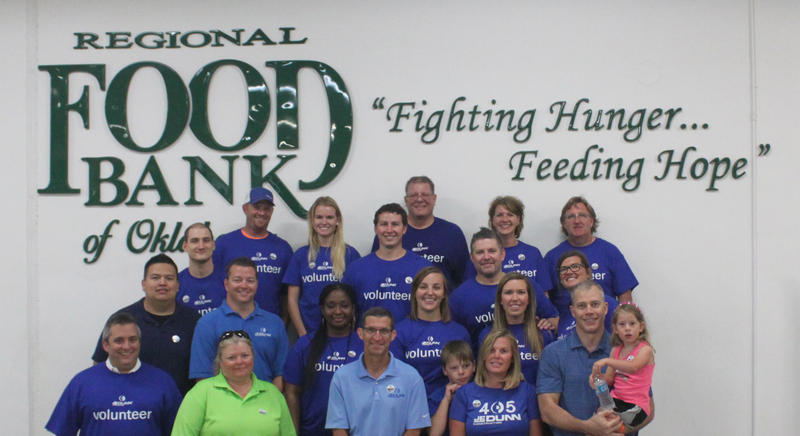 The team helped pack 12,674 pounds of food, which equates to 10,562 meals for the hungry. They also packaged 2,868 backpacks that go home with impoverished children who otherwise would not have anything to eat over the weekend and typically only get to eat at school. We had a great time volunteering together while also providing a tremendous value to our community.